SOLOMO Technologies has just closed a $1.7 Million Series A financing round. The round was co-led by Venture Management, LLC and Don Layden, and included participation by Wisconsin Investment Partners. The financing will be used to accelerate SOLOMO’s product development and increase its sales and marketing activities. The company’s SOLOMO Exchangeâ„¢ platform enables retailers to conduct personalized and localized omni-channel marketing. The platform connects to retailers’ branded mobile applications to support the seamless, trusted exchange of individual customer data. SOLOMO Geoâ„¢, one of the SOLOMO Exchangeâ„¢ services, provides retailers with WiFi-based anonymous indoor location analytics and an array of opt-in localized customer engagement capabilities. More information is available here. The Pop Up Agency â€“ a team of young international entrepreneurs â€“ is making stops during their 15-week worldwide tour in cities including Shanghai, Singapore, Los Angeles, London, as well as Madison. The innovative team is gaining popularity for its fast-paced methodology where six interactive art directors immerse themselves in a challenge and deliver a concept and strategy within a 48-hour project window. The Greater Madison Chamber of Commerce is hosting the team. They will be making cultural and business stops throughout the region (including visiting many Capital Entrepreneurs companies) from May 29-30 before presenting their concept May 31. The inaugural “Start Me Up” Emerging Healthcare IT MeetUp Day joins the 2013 Digital Healthcare Conference this year. The Digital Healthcare Conference (June 11-12) is an exclusive gathering of healthcare leaders to network, learn and innovate. Attendees share insights, compare experiences, and hear engaging presentations from their peers. The list of speakers is available here. Start Me Up (June 10) is for the emerging and start up Healthcare IT vendors as part of the Digital Healthcare Conference. This unique event brings entrepreneurs, investors and healthcare CIOs together in one setting. Register now to be a part of the ground-breaking event. See the full list of speakers and panelists here. Both events will be held at the Fluno Center in Madison. Register for both events here, or register for only “Start Me Up” here. Bokos, maker of a one-piece rubber sandal, was recently featured in the Wisconsin State Journal. The article highlights their journey getting their company off the ground, in particular focusing on the unique challenges they encountered sourcing manufactures for their product. 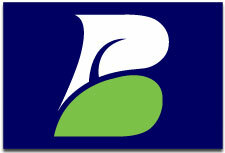 Bokos is currently selling sandals online, and are also expecting to get placement in retail stores this summer. Check out the full article here. Sector67 is offering a small number of youth ‘Makerships’ this Summer. A ‘Makership’ gives students a 3 month opportunity to use Sector67 to complete a project of their choosing. It includes free membership, $100 for project materials, as well as a mentor to help them complete their project. Any project is eligible, as long as it involves making something (software, crafts, electronics, mechanics, etc). 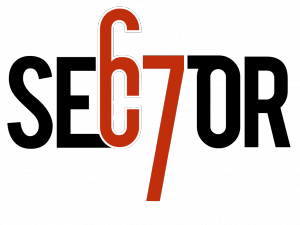 Sector67 is accepting applications until June 1, and this program is only available to students under 18 years of age. For more information and to apply, go here. Fetch Rewards won the $10,000 Innovative Minds Prize on May 10 at UW-Madison. Fetch Rewards is a mobile application designed to reinvent the grocery shopping experience by adding several benefits to the environment. The mobile phone application lets shoppers directly scan purchases into their phones, providing a running tab of the grocery bill and automatically triggering available coupons. It also saves the shopper time at the checkout aisle. The Innovative Minds Prize recognizes the top UW student innovation of 2013 that is best positioned for commercial development. For more, go here. 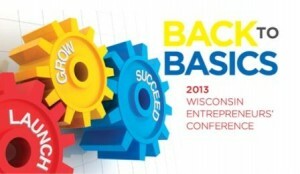 The 2013 Wisconsin Entrepreneurs’ Conference will be held June 4-5 in Middleton this year. Conference highlights include speakers Jason Lucash (Co-founder of OrigAudio; Named Emerging Entrepreneur of 2012 by Entrepreneur Magazine) and Roy Thiele-SardiÃ±a (Managing partner of HighBAR Partners), as well as the Finalists from the Governorâ€™s Business Plan Contest. In keeping with the yearâ€™s “Back to Basics” theme, the conference will provide hands-on information, advice and best practices for companies as they launch, grow and succeed with their innovative ideas. For more information and to register to attend, go here. Capital Entrepreneurs would like to welcome our newest Featured Sponsor â€“ Fine Point Consulting. Sponsors provide financial support to fund core Capital Entrepreneurs operations and meeting events. If you would like to get involved as a sponsor, contact us. Fine Point Consulting provides outsourced accounting CFO advisory services. We love to help businesses succeed. We help our clients focus on delivering quality to their customers while we provide quality information to help you make better business decisions. Our standardized workflow process offers you anytime, anywhere access to your financial information with built-in fraud protection and internal controls. Fine Point Consulting is like having your own accounting department just down the hall. Experienced, professional, and always available, we complement your business with industry-leading financial services and accounting solutions and best-of-the-breed technology. And we’re a fun group of people to boot. Learn more at www.finepointconsulting.net. Ever find yourself on TED.com wondering why there isn’t a local TED event to showcase Madison’s innovators? Well this year, there is! TEDxMadison is a 1-day conference held at MMoCA on June 1 that will feature 11 of Madison’s forward-thinkers spreading their ideas. This is the 2nd TEDx event in Madison, with the first event happening in 2011. The theme of the 2013 event is ‘FORWARD’ which incorporates both the spirit of TED as well as Wisconsin. More information is available here. SnowShoe (makers of the SnowShoe Stamp) was selected for the TechStars summer program in Boulder, CO. SnowShoe is the fifth Madison startup to take part in TechStars, and they are the first to join the program’s Boulder location. The program starts today and runs through August 9th. TechStars provides participating companies with a small amount of funding, direct mentorship from successful entrepreneurs, and access to a world-wide network of alumni and supporters. The incubator was started in Boulder in 2006, and also runs programs in New York City, Boston, San Antonio, Chicago, and London. Read more here. UW Student entrepreneurs have another shot to win big this Friday (May 10) at the Innovative Minds Prize, held at 3:30 p.m. in the Wisconsin Institutes for Discovery Town Center. A number of student teams will be competing for the first-ever $10,000 Innovative Minds Prize, awarded to the student team that demonstrates the year’s most market-ready innovation. Judges will choose from winning entries from the university’s signature competitions: Innovation Days, the Qualcomm Wireless Innovation Prize, the Wisconsin Energy and Sustainability Challenge, and the G. Steven Burrill Business Plan Competition. The prize is sponsored by the law firm Perkins Coie LLC. The keynote address will be given by Patrick Heaney, who earned master’s (2007) and Ph.D. (2009) degrees in materials science and turned his dissertation into a successful local company, NCD Technologies. NCD applies a nanoscale diamond coating technology to a new generation of super-strong tools. Educational training game maker Ronin Studios and Consulting was recently featured in InBusiness magazine. Ronin makes mobile and web based games used by businesses and organizations for corporate training and other business objectives. Ronin’s games put a new spin on traditionally dry corporate training. For more on Ronin, check out the full article here. Chef Tom Baertschy and MobCraft Brewer Andrew Gierczak are teaming up to put together a four course beer dinner at 8 Seasons Grille in Madison as part of the Third Annual Madison Craft Beer Week. The dinner will feature four of the MobCraft startup’s own beers, each paired with a food course. The event takes place Saturday, May 11 at 7pm. For more information and to reserve your spot, go here. The VP of Business Development from Belly will be speaking at the Founders’ Series Meetup hosted by gener8tor in Madison on Wednesday, May 8 at 5:30pm. Belly is a universal loyalty program that offers unique and exceptional rewards to local businesses through a single customer loyalty card. Belly replaces traditional â€˜Buy 10, Get 1 Freeâ€™ punch cards with a rewards platform that is tailored to each businessâ€™ personality, connecting customers on a much more personalized level to the places they already love. Customers can use a physical card, iPhone App or Android App to scan in on the provided in-store iPad to earn points at every store where Belly is accepted. Belly is based in Chicago and has over 4,000 merchants using their service. 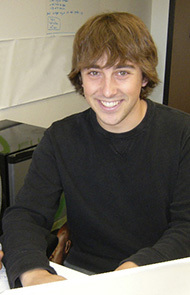 Ryan Jeffrey currently serves as the VP of Business Development at Belly. Ryan was also a Junior Board Member at Spark Ventures and an Analyst at Lightbank in Chicago, and is a UW-Madison graduate. 3in1 Holders – A self adjusting fishing rod holder that keeps bait at a steady height even in choppy waters. Re Prosthetics – Developing a high-performance prosthetic that can replicate a patientâ€™s lost hand using 3D printing technology. Fetch Rewards – A free grocery shopping mobile application that enables customers to build one-to-one relationships with their favorite grocery stores and CPG brands while shopping. Read more about this year’s competition here. Capital Entrepreneurs co-founder Nathan Lustig was profiled in the Isthmus recently. His roots, as well as his role in the Madison entrepreneurial community and abroad, where highlighted. He is a serial entrepreneur, and after being selected for the first Startup Chile class in 2010 he has lived primarily in Chile – but remains very much connected to the Madison entrepreneurial community. Check out the full article here, and follow his blog here.